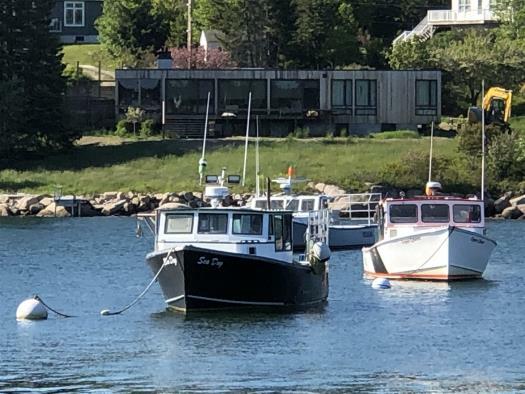 Levy Cottage is a stunning contemporary cottage built in to the shoreline of Crockett Cove in beautiful Stonington Maine. 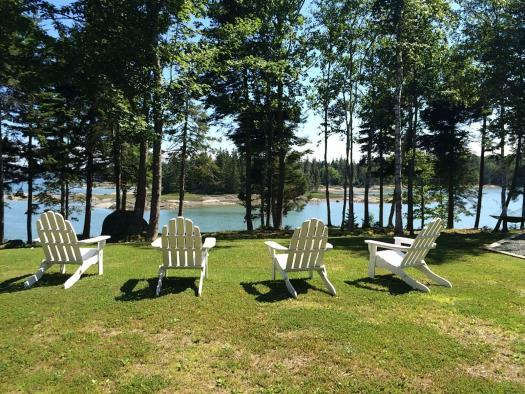 Enjoy easy access to the ocean, a quiet and scenic landscape in a private and picturesque setting. Levy Cottage is a three bedroom, one bathroom cottage designed by architect Emily Muir. This cottage provides one level living for its guests. 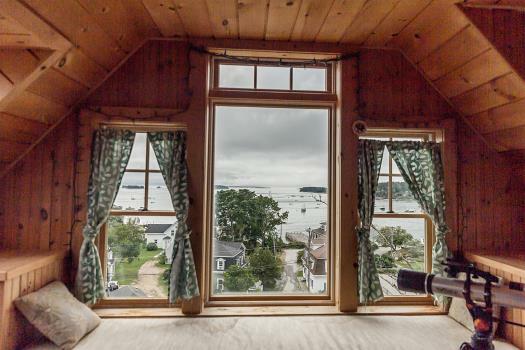 Levy Cottage has many windows bringing the views of Crockett Cove in to the home. The kitchen, living and dining areas are in one open room with soaring post and beam ceilings and the signature Muir fieldstone fireplace decorating the Great Room. There are three bedrooms at Levy Cottages. The first is furnished with a queen bed and a dresser. The second bedroom is furnished with a full bed and a dresser and the third bedroom has bunk beds and an additional twin bed, making the room suitable for up to three guests.. The cottage has one full bathroom with a shower and tub option. 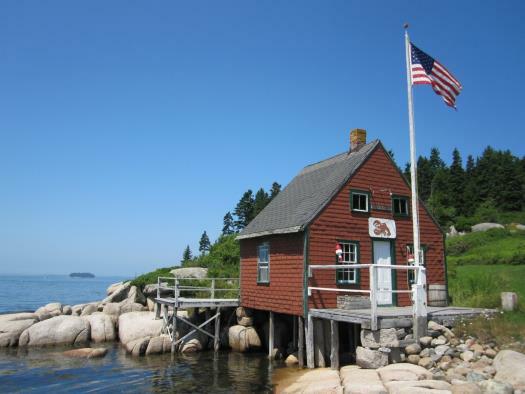 Levy Cottage is oceanfront. 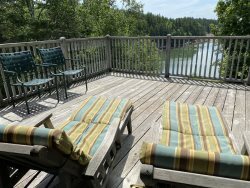 The cottage has a fantastic deck that hangs over Crockett Cove and enjoys views over Sam’s Island and beyond to the open water of Penobscot Bay. There is a pocket beach which is perfect for launching your kayak, canoe or paddle board. Levy Cottage has a large grassy yard for guests to enjoy. There are all sorts of woodland creatures to be seen around the lush yard, including rabbits, deer, fox and all sorts of birds. If you are looking for a quiet and scenic oceanfront escape then look no further. 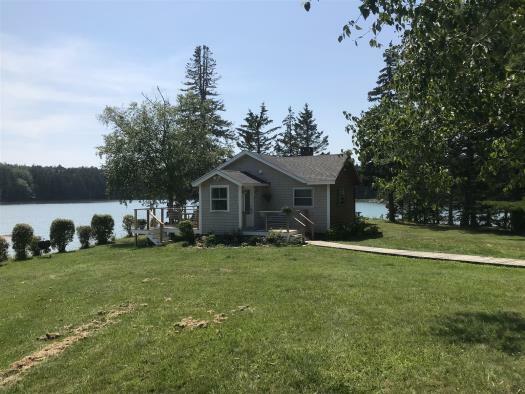 Levy Cottage is likely the perfect spot for you. 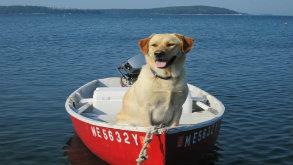 Ask us About Bringing your Family Pet. Levy Cottage is such a beautiful spot!! Thanks for an overall wonderful experience, the cove is such a lovely place to unwind. This house is very private and the location was incredible. It was very interesting learning about the original architect and her life as well. We will definitely rent from the island agency again.